Eric Jao (also known as DJ Enferno) has come a long way from his early days of making mixtapes and slinging vinyl crates. Eric began manipulating music at age 14, splicing and rearranging his favorite 12” records using a boombox and cassette tapes. He began his DJ career playing mobile gigs while attending #1 ranked Thomas Jefferson HS in Alexandria, VA, thereafter earning his stripes (and business degree) while attending the University of Virginia. Post college, as an IT professional by day, Eric spent his nights DJ’ing in Washington DC’s legendary nightclubs including Zei Club, the Bank, and 1223. Since then, Eric has said goodbye to his day job, won a few DJ battles (including the 2003 DMC USA Championship), and performed for over 3 million people in 35 countries, including a 2-year run as Madonna’s tour DJ. He’s performed at some of the nation’s biggest nightclubs, including a residency at Tao in Las Vegas. His current gig schedule balances his hometown DC club and private event performances with regular trips to venues across America, and occasional trips around the world. As as a performer, Eric is part DJ, part musician. Armed with an encyclopedia-like mental music catalogue, Eric cooks up your favorite booty-shaking hip-hop, fist-pumping EDM, and guiltiest-pleasure throwback jams like a master chef. All genres, decades, and BPMs are fair game. Also a classically trained musician, Eric uses his piano and percussion skills to create and perform music on-the-spot with his signature #LiveRemix shows, successfully combining the versatility of a DJ set with the performance value of a live band. As a producer, Eric’s range is just as broad. He’s made music for Madonna's "Sticky & Sweet" tour, Michael Jackson’s posthumous Cirque Du Soleil shows, Rihanna's "Loud" tour, and 20th Century FOX’s 2015 “Peanuts Movie”. He's released bass-driven music on Steve Aoki's Dim Mak label, as well as mainstream tracks like his chart-topping "Party Rock Anthem" remix on Interscope Records. His E.A.S.Y. (i.e. Enferno And Shiftee, Yo) collaboration has produced both remixes and original tracks, combining hip-hop and bass music with pop and soul. Eric also worked on music arrangements for Shakira's 2017-2018 El Dorado World Tour. Beyond the stage and studio, Eric is a trendsetter in music education. Himself a father of two children, Eric founded Mix Major to teach kids and teenagers how to create their own music, regardless of their musical training or ability to play an instrument. With Mix Major, Eric is modernizing music education while positively affecting the trajectory of kids’ lives. Beyond the Mix Major classroom, Eric also creates and publishes free educational video content for traditional music educators with his Teacher TV Youtube Channel. With Teacher TV, Eric hopes to help music teachers spread creative music technology to kids around the world. 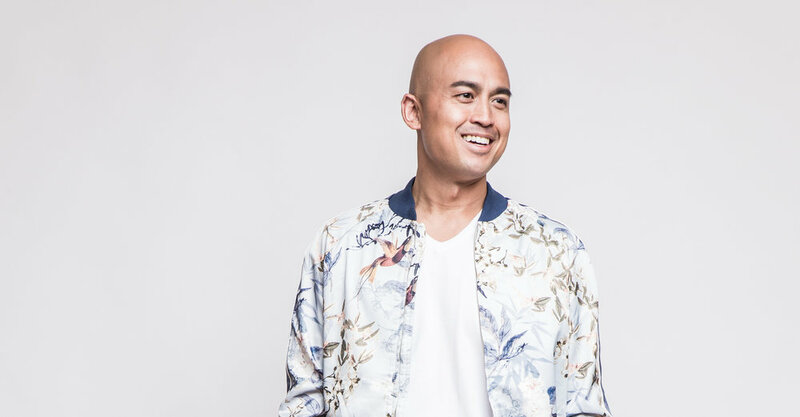 In 2018, Eric created Music Interactive which connects corporate client teams through music using Team Building Workshops (similar to Mix Major classes) and his unique Music Interactive 'LIVE' performances (an evolution of his #LiveRemixes). With Music Interactive, Eric is helping "grown ups" connect with each other while boosting their creativity.